OMAHA, Neb. (KMTV) — Artists braved the weather, broke out the tools and carved away the competition in a contest being held for the first time in the Cornhusker state. 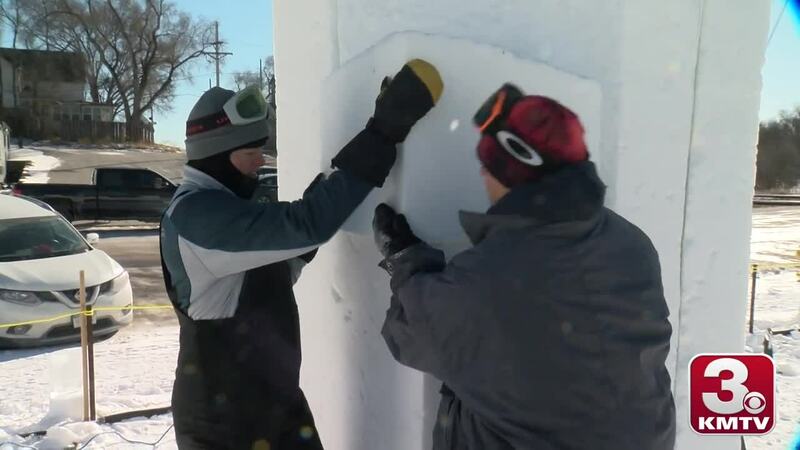 Nebraskans are competing for the first ever state snow sculpting title this weekend in Elkhorn. Contestants are tasked with carving an eight by four block of snow in to the design of their choice. The contest is the brainchild of Matt Seeley, an Omaha-native who has competed at the national level for the last decade. "There's something about living for the moment, there's something about art for the moment that I think is valuable," Seeley said. "This is like a dream come true. I've literally been working on this for ten years." Many here are first timers, including 25-year old Ashley Eisert, who is competing with her mom in the competition this weekend. 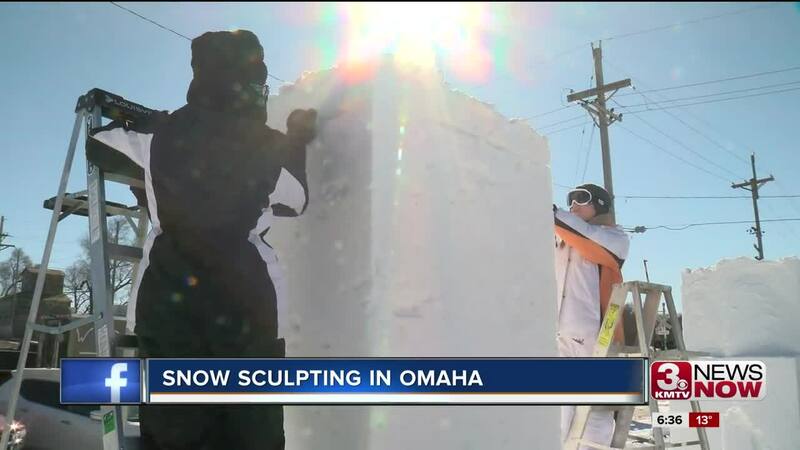 "Our only experience we had was snow sculpting and here we are today," Eisert said. "We just started to make our own tools, look at Youtube videos, talked to other snow sculptors as well and here we are today." Three spots over, Ashley's dad and sister Brianna were working on their own design, a wine glass and a piece of cheese. "Our family loves doing crazy adventures together and this seemed like the next step on our wild adventure of doing family stuff together," Brianna Eisert said. They might be family at home, but for the next two days they're bitter rivals. "As we start going and as we start competing in different competitions, it starts to be a fun rivalry going," Brianna Eisert said. "You always need to keep it interesting in the family," Ashley Eisert said. With bitter cold conditions you have to wonderwho thinks this would be a fun way to spend your weekend in Nebraska? "Nebraskans do have a bit of an aversion to the outdoors and to winter," Seeley said. "Hopefully this is a way to understand there's a lot of fun to be had in the cold." The state snow sculpting competition runs through Sunday in Elkhorn. The competitors will vote on the winning design.